Is Diversification A Smart Strategy For Real Estate Investing? I have heard it said many times that there are literally hundreds of ways to make money in real estate. Not all of those ways would be categorized as investing. So I am not talking about diversifying into multiple income streams. I know a lot of guys who are excellent at doing home renovations and they will purchase properties cheap and renovate them to sell to a retail buyer. 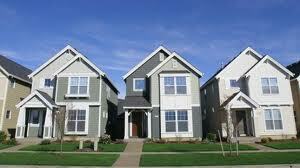 They also will sell properties at wholesale prices to other retailers to make a quick profit. They have diversified their income. Smart, Right? That is a great example of diversifying to multiple income streams, but not the type of diversification in real estate I am talking about. I am talking about a slew of emails I have been getting here lately about diversifying in your buy and hold strategy. I am going to list out a few of the pros and cons that I see to this strategy, especially as they relate to the obvious fact that many investors think this means buying in cities all over the country. I do like the idea of owning real estate in multiple markets. It seems to make sense that I would want to have properties in multiple cities. As long as they match my needs and wants as an investor, then I am game. I personally buy real estate properties with the intention of holding them in my portfolio as a generational wealth builder. I eventually want a portfolio that I can pass on as a generational wealth builder tool for my family. So with that end in mind, I want a portfolio that is easily managed so not too big and not too complicated and cumbersome. I have a portfolio now that is much more manageable than what I have had in the past and, although it was not an easy process, I no longer have many of my ‘mistakes’. Guarding against the next bubble. We know it is coming. It is really not even a matter of when. Historically it will happen within the next 10-15 years and there will be another price reset on single family homes. Now there are so many factors that can affect the next bubble. Factors that can delay it, soften the blow, contain it to one region of the country, etc... But it will happen. I do see owning long-term buy and hold real estate in multiple markets as a hedge against being caught and tripped up in the next bubble. Invest for appreciation and return. It is true that many cities that have been marketed as great buy and hold cities are in the interior of the country where price cycles are less severe and occur less often. So the opportunity for appreciation is not usually a highly touted reason to invest in these markets. That is not true for every buy and hold market though. There are many cities where investors are purchasing for long-term and keeping an eye to the future as population and job growth, plus very forward thinking development and planning by government and civic groups has many thinking the potential for appreciation exists. Visit different parts of the country. To be fair, this was not high on my list of positives, but I was really struggling to come up with more reasons to invest in multiple cities for long-term buy and hold. The two reasons listed above were really the only two reasons I could come up with that made sense in the argument for diversifying my long-term buy and hold portfolio. While there may have only been two arguments in the positive column, they both were important factors to consider. Consistency of property management. The biggest obstacle that out-of-area investors cite as why they do not purchase property is the fear of poor property management. Now, imagine that fear multiplied by the number of cities an investor chooses to buy property. It is hard enough to become comfortable with one city and one company managing your properties. The fear that investors have is only compounded as they prepare to add another city to their portfolio. This is a real problem and investors have to be aware and prepared to address it before deciding they want to invest in a city. Consistency of data for filing taxes. This negative goes hand in hand with the property management company. The way data is prepared and delivered to a CPA will have a huge effect on how good the information is that the CPA prepares for you. It will also have an effect on the cost! If you or your CPA are trying to reconcile information from multiple companies for different cities and all of the information or processes are different, it will be a nightmare...and expensive. Difficulty with managing your managers. I am lucky to have met and worked with so many investors through the years and many of them have shared stories with me about investing in other cities. One of the biggest gripes they had - and it really highlights the first two negatives - is that when they had a problem city, it took all of their time. They failed to keep focus on their entire portfolio because they were spending so much time and energy trying to fix the problems they were having in one city with one property management company. The lack of consistency had forced them to neglect some properties and companies while they were working on fixing others. As you can imagine, that only leads to more problems in cities where you were not expecting problems. Diversification can be as simple as buying single-family homes across a range of areas and price points all in one city. Another great way of diversifying your portfolio can be buying across different asset classes. Single-family residences are a great way to invest in real estate and probably presents the fewest hurdles for novice investors. But that does not mean that an investor should not look at multi-family housing, small commercial, personal storage units, mobile home parks or industrial opportunities. 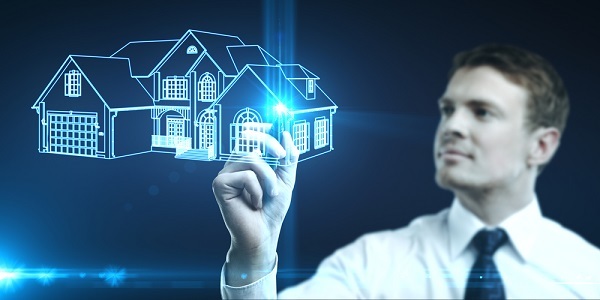 What is amazing about today’s real estate market is that opportunities are opening for investors across a very wide spectrum of investment properties and opportunities. Many cities that offer strong returns for single-family homes also have strong returns in other investment opportunities and more and more services are being developed to serve out-of-area investors. The days of diversifying being only for the “big-boys and girls” of real estate are well behind us and more and more, what we call mom and pop investors are getting into the act. With that being said, I would love to hear some of your thoughts on diversification and how you have accomplished diversifying your portfolio --- or why you don't!